SSD is the latest technology in storage and has revolutionized every aspect of computing. 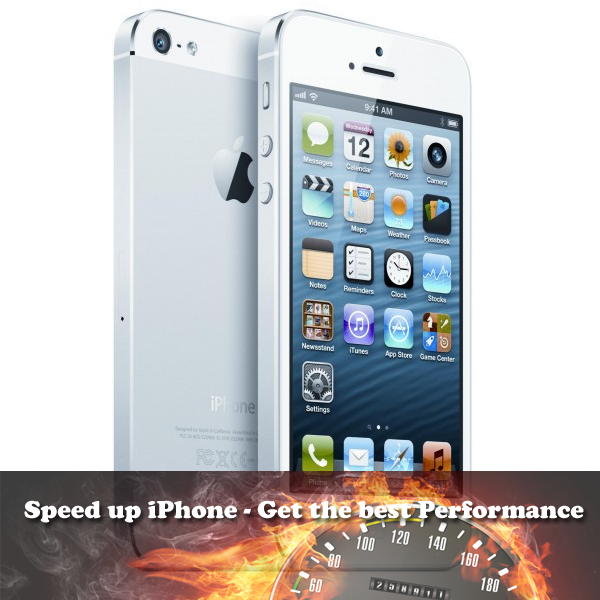 Solid state drives give more than 10X read write speed than normal Hard disc and have a long life as well. They do not have any moving parts and thus they are speedy and last long. I am here to discuss the best Laptop available in the market that have a secondary SSD drive built in so that you can install Windows and other essential application on it to get the maximum speed. These Laptop comes with normal hardware configuration but with the added advatages of SSD that makes them much faster and smarter than other Laptop with similar configuration. If you considering these Laptop for install Hackintosh or lets say it simply Mac OS X, then these Laptop will out perform the expensive Mac Airbooks and Pros as well. Lets check out the list now. Lenovo Ideapad U410 (59-342778) Ultrabook is a nice laptop housing a display of 14.0 inch HD LED Screen and will be running on Windows 7 Home Basic 64-bit. Ideapad U410 has a slim bodydimension measuring 495 x 297 x 66 mm and weighing around 1.7 kg.Lenovo Ideapad U410 is powered by a nice and powerful Mobile HM76 Express Core i5 (3rd Generation) 1.7 GHz With Turbo Boost Upto 2.6 GHz processor with 3 MB Cache along with NVIDIA G610M 1 GB DDR3 graphics processor for superb gaming experience. 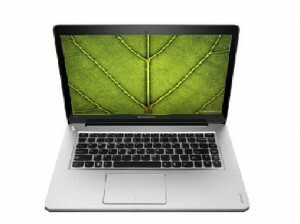 Ideapad U410 (59-342778) Ultrabook hoses huge HDD capacity 500 GB 24 GB SSD with 5400 RPM and has 4 GB DDR3 system memory. Lenovo Ideapad U410 has 1.0 Megapixel web cam with Standard Keyboard and has Bulit-in Stereo Speakers. Ideapad U410 (59-342778) has its connectivity via Wireless LAN IEEE 802.11b/g/n, Bluetooth v3.0 and is fueled by a 4 cell battery. Lenovo Ideapad U410 (59-342778) Ultrabook is priced at Rs Rs. 55131. Lenovo Ideapad U410 (59-342788) Ultrabook is a nice laptop designed for Entertainment housing 14.0 inch HD LED Screen display and measures 495 x 297 x 66 mm body dimension measuring around 1.7 kg. Lenovo Ideapad U410 will be running on Windows 7 Home Basic 64-bit operating system and is powered by a fast Core i7 (3rd Generation) 1.9 GHz With Turbo Boost Upto 3 GHz processor with 4 MB with NVIDIA G610M 1 GB DDR3 graphic processor. Ideapad U410 (59-342788) has nice 500 GB 24 GB SSD Hard disk capacity with 5400 RPM along with 4 GB DDR3 System memory. Lenovo Ideapad U410 has a nice Chicklet Keyboard with 1.0 Megapixel web cam. Ideapad U410 has its connectivity via Wireless LAN IEEE 802.11b/g/n, Bluetooth and is fueled by 4 cell battery. 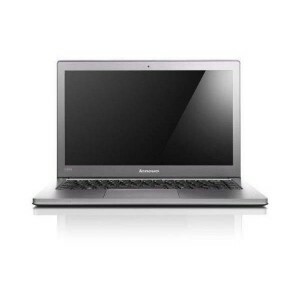 Lenovo Ideapad U410 (59-342788) Ultrabook is priced at Rs. 61873. Asus S56CA-XX030R Ultrabook is powerful laptop and is designed for everyday use housing a display of 15.6 inch HD LED Backlight with a resolution of 1366 x 768 Pixel and measures body dimension around 380 x 266 x 21 mm weighing around 2.30 kg. 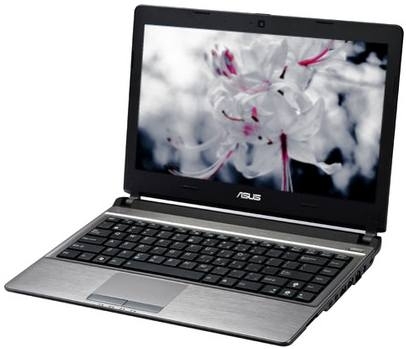 Asus S56CA-XX030R runs on Windows 7 Home Basic 64-bit operating system and is powered by a Core i3 (3rd Generation) Mobile HM77 Express 1.8 GHz processor with 3 MB cachealong with Intel HD Graphics 4000 graphics processor. Asus S56CA has hard disk capacity of 500 GB 24 GB SSD with 5400 RPM along with 4 GB DDR3 system memory ansd can be expanded up to Upto 8 GB. S56CA-XX030R Ultrabook has SuperMulti DVD Drive with Dual Layer Support optical drive with HD Camera and Standard Keyboard. S56CA-XX030R has its connectivity via Ethernet 10/100/1000 Base T, Wireless LAN IEEE 802.11b/g/n, Bluetooth v4.0 with 4 cell. 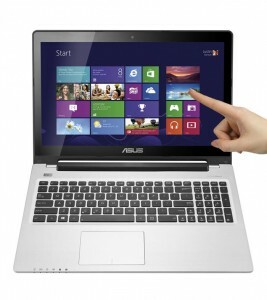 Asus S56CA-XX030R Ultrabook is priced at Rs. 40000. Asus S550CM-CJ054H Ultrabook is a powerful laptop designed for Gaming housing a display of 15.6 inch HD TFT LCD Glare Display with LED Backlit with a resolution of 1366 x 768 Pixel measuring body dimension 380 x 266 x 21 mm weighing 2.65 kg. Asus S550CM-CJ054H runs on Windows 8 64-bit operating system powered by a Mobile HM76 Express Core i5 (3rd Generation) 1.7 GHz With Turbo Boost Upto 2.6 GHz with 3 MB cache along with NVIDIA GeForce GT 635M 2 GB DDR3 grapics processor which enhance gaming experience. S550CM-CJ054H has 750 GB 24 GB SSD hard disk capacity with 5400 RPM and is supported by 4 GB DDR3 system memory. Asus S550CM is equipped with SuperMulti Drive with Dual Layer Support optical drive with HD Webcam, Full Size Chiclet Keyboard with Numeric Keypad and SonicMaster Speakers. S550CM-CJ054H Ultrabook Ethernet 10/100/1000 Mbps, Wireless LAN IEEE 802.11b/g/n, Bluetooth v4.0 and is fueled by a 4 cell. 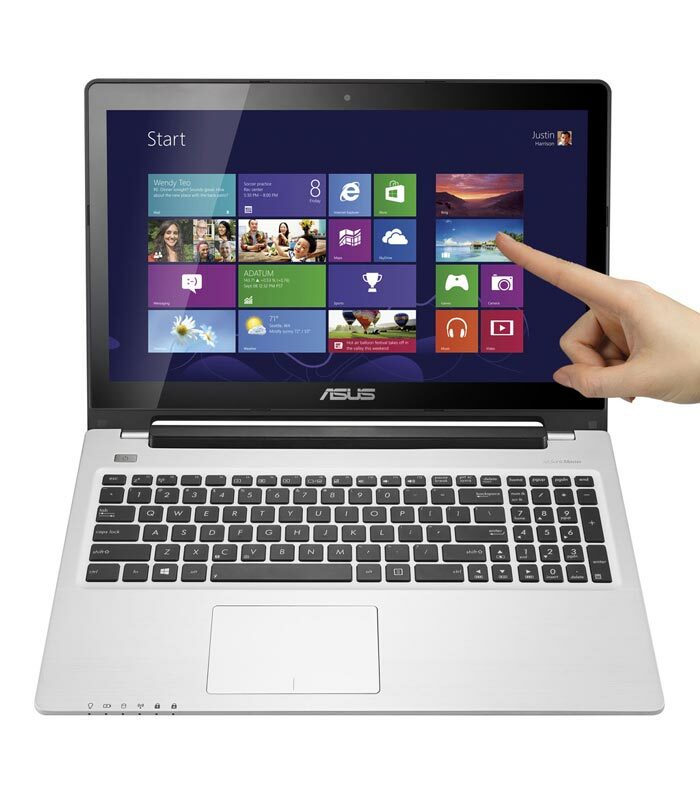 Asus S550CM-CJ054H Ultrabook is priced at Rs. 57999. Lenovo Ideapad U510 (59-349348) Ultrabook is a powerful laptop designed for Entertainment equipped with 14 inch HD LED Display running on Windows 8 64-bit operating system. Ideapad U510 (59-349348) Ultrabook is powered by a Mobile HM76 Express Core i5 (3rd Generation) 1.7 GHz With Turbo Boost Upto 2.6 GHz processor with 3MB cache along with Nvidia NV 610M GFX 1 GB DDR3 graphics processor. Lenovo Ideapad U510 houses 1 TB 24 GB SSD hard disk drive with 4 GB DDR3 system memory along with DVD RW Drive Optical Drive. Ideapad U510 (59-349348) has 1.0 Megapixel HD Webcam with Backlit Keyboard. Lenovo Ideapad U510 has its connectivity via Wireless LAN IEEE 802.11b/g/n, Bluetooth v4.0 and is fueled by 4 Cell battery. 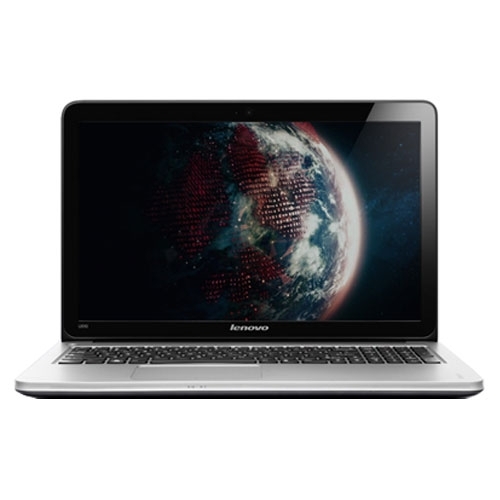 Lenovo Ideapad U510 (59-349348) Ultrabook is priced at Rs. 60350.